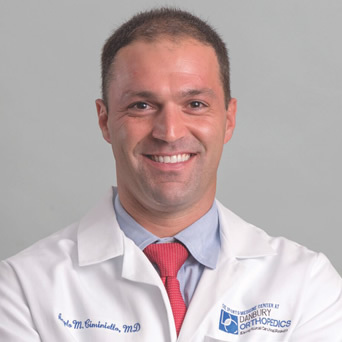 OrthoConnecticut | Angelo Ciminiello, M.D. Dr. Angelo Ciminiello is the true definition of a sports medicine specialist. He is fellowship trained in sports medicine, served as assistant team physician to the Boston Celtics and Northeastern University, and is the director of Orthopedic Trauma at Danbury Hospital. Dr. Ciminiello's combination of superior medical training, experience as a knee and shoulder surgeon, and on-the-field credentials, makes him uniquely qualified to understand the physical demands and psyche of the competitive athlete. As captain of his college's Division I baseball team, he earned numerous scholar-athlete honors while leading the players to a Big East Championship and the NCAA College World Series Tournament. Dr. Ciminiello believes patients do not need to be high-level athletes to receive high-level care. 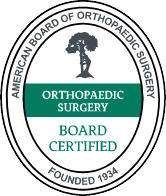 As a sports medicine subspecialist, he has a deep interest in shoulder and knees injuries, complex fractures, and minimally invasive arthroscopic knee and shoulder surgery. He is the only sports medicine surgeon in the area to perform All Inside ACL Reconstruction. 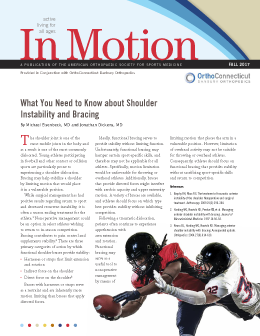 He has authored several articles on rotator cuff repairs and is frequently asked to speak to surgical residents and civic groups on sports medicine. In addition, Dr. Ciminiello is the team physician for Ridgefield High School, as well as the Danbury Titans professional hockey team.